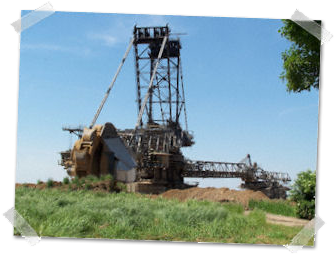 This website is fully dedicated to scale models and custom build models of trucks, construction equipment, cranes and related equipment. On my homepage you can find photos of the scale models I own, models I have customized and models I have build myself. Of course, there is also some space reserved for the real machines. To complete the website, I have a links section with many interesting links. New links are added frequently, so if you know a website that should be mentioned in my links section, please let me know. Let me tell some about myself: I started with collecting brochures of trucks around 1988. 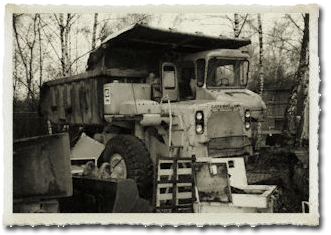 Some years later, contractors started work on a new highway near my ton, and that's when I became interested in construction equipment. The first years, I wrote many letters to Dutch and foreign companies to gather information. I ended up with over 1500 brochures in my collection, covering over 100 manufacturers of trucks, cranes, earthmoving and mining equipment. Just a few years ago, I seriously started collecting 1/50 scale models. Soon this hobby replaced the brochure collection. In the mean time I obtained my first camera, and started to make pictures at building sites in my neighbourhood. When I later owned a car, and got a digital camera, I started visiting locations further from home. The German lignite mines appeared to be that impressive that I'm still visiting them multiple times a year to photograph the latest progress.